Full of functional details, AC² packs reflect aesthetic simplicity and beautiful design. They include dependable comfortable suspension, hydro ports, variable volume rolltop closures and side straps to hold skis, tools or equipment. Advanced Composite Construction (AC2™) is the culmination of all our applied knowledge. Vapor harness thermoformed shaping, thermoformed backpack suspension, waterproof outerwear lamination, die cut pocket openings and WaterTight™ zippers. AC² packs feature an innovative waterproof bondable fabric with custom molded components fused directly to its surface, a compact lightweight suspension system and a tri-laminate Monoframe back panel that creates a direct link between spine, suspension and bag. After several years of experimentation, the final textile proved nothing short of revolutionary: a tough, airtight and waterproof pairing of 420-denier fabric with a two-sided urethane mixture that, when heated to a critical temperature, enables us to fuse components directly to the surface of the textile. 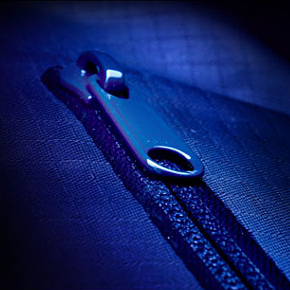 To further seal out weather, we laminated colour matched WaterTight™ zippers in the top lid and main pocket areas. For shoulder straps, hipbelts and backpanel we selected a composite fusion of Spacermesh, 420ACT and open cell foam. These pieces proved creaseless and resistant to chafing, adding a new dimension of comfort. 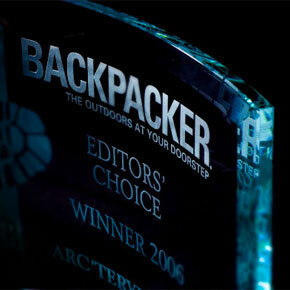 The 420ACT fabric opened a new door for pack construction. Its bondable surface allowed us to laminate directly to fabric freeing us from the constraints of traditional cut-and-sew manufacturing where components and openings are anchored to an existing seam. As traditional pack components would not laminate to the pack surface due to their polymer makeup we custom developed our own urethane parts, a thermoplastic that maintains flexibility under extreme temperatures. Further leveraging the bondable properties of the fabric, we created a tri-laminate backpanel frame. Composed of EVA foam, resilient Kydex plastic and aluminum stays, this Monoframe composite backpanel is thinner and lighter. As a unified structure, our pack's curved shape and supportive form creates a direct link between spine, suspension and bag. The next project was to develop a new hip and shoulder harness system. We created a stiff and supportive laminated composite belt with an internal polycarbonate torsion support. Equipped with a urethane Load Transfer Disc, this new hipbelt provides a superior range of motion. To finish the suspension system, we designed radially formed shoulder straps shaped with a clean, anatomical curve. The final step was sealing the bag seams. Affixed by heat, a urethane and substrate sealing tape adds shape, and stabilizes and strengthens the seam delivering completely waterproof construction. Constructed unlike any other packs, AC² packs introduced new technologies that are now also used on our other large volume packs. Load Transfer Disc™ equipped pivoting hipbelts provide increased agility and stability. The GridLock™ shoulder strap adjustment system allows a perfect fit. To reduce load-bearing seams, shave weight and provide an appealing aesthetic, AC² main bags are constructed with only two pieces of fabric cut in a complex pattern to provide 3D volume. The packs are then seam-sealed to ensure that no moisture infiltrates the interior. Full of functional details, AC² packs reflect aesthetic simplicity and beautiful design. They include dependable comfortable suspension, hydro ports, variable volume rolltop closures and side straps to hold skis, tools or equipment. Further visual design is applied with colour matched parts, giving these packs the simple clean lines Arc'teryx is known for. 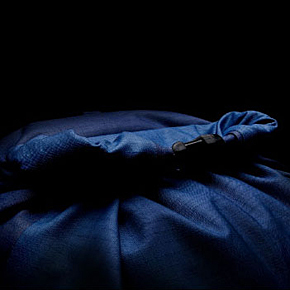 AC² fabric technology was conceptualized at Arc'teryx prior to 2002 after a long development period. It was conceived to take what Arc'teryx has done with outerwear; taking that construction technology and applying it to backpacks to make them lightweight, extremely durable and weather resistant.